All New Gutter Service has a revolutionary downspout for residential construction that reduces clogging and improves water flow by 100% over conventional downspouts. Known as Superspout™, this exclusive 3-inch square downspout and elbow has been engineered to be stronger than other downspouts. Unlike ordinary downspouts, the water is swirled, like a cyclone, which allows debris in your gutters and downspouts to be more easily removed. Our exclusive Superspout allows a home’s rain carrying system to maximize draining potential without the bulky look of commercial downspouts. The main function of a gutter system is to direct rainwater away from your home. If that function is interrupted in any way, water can enter your home and cause expensive damage. A properly sized downspout is the final step in the rain extraction process, since it carries rainwater down and away from your roof and your home’s foundation. If your downspout is too small, or becomes clogged, dented or damaged in any way, it cannot properly perform this final step. That is why you need a durable, high-quality downspout like our revolutionary Superspout that can withstand the elements and still remain strong and functional, carrying rainwater safely away from your home. 3-inch square design provides 100% more drainage than conventional downspouts. Engineered to be stronger and more durable. Streamlined look for greater curb appeal. Superspout is available in 20 standard colors and any additional custom color options, so you’ll be guaranteed a look that blends seamlessly with your gutters and complements your home’s architecture and décor. Your home is one of the biggest investments you will ever make. Protect and beautify it with a quality gutter system from All New Gutter Service. 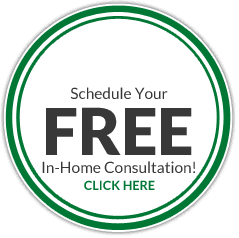 Call us today at 701-280-9261 or fill out our convenient online contact form to schedule a free, no-obligation consultation with the leading experts on the design, construction and installation of top-quality gutter systems. With over 15 colors and endless custom color options, we are sure to give you the perfect match. Whether you would like to blend your gutters in to be part of the house or contrast them to create an attractive look, we are always happy assist you. 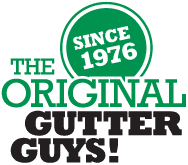 Call All New Gutter Service today at 701-280-9261 or fill out our convenient online contact form to schedule a free, no-obligation consultation with the leading experts on soffit and fascia design and installation.